Experience an explosive game of cat and mouse set in a vast open world. In this reimagining of 1980s Sweden, hostile machines have invaded the serene countryside, and you need to fight back while unravelling the mystery of what is really going on. By utilising battle tested guerrilla tactics, you’ll be able to lure, cripple, or destroy enemies in intense, creative sandbox skirmishes. 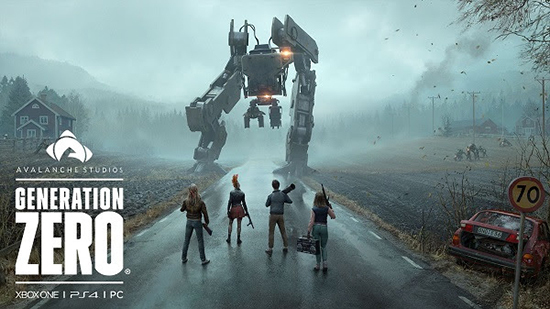 Generation Zero just pushed out an action-packed Release Trailer, filled with mysterious machines, teams working as one to take down threats, atmospheric environments, and more. Whether you play alone or with friends, there is a lot to explore in the vast open world. Launching on March 26th for PC, the PlayStation 4 and the Xbox One family of devices, including the Xbox One X.